Pro sports tend to make a deal out of October as Breast Cancer Awareness month (except, apparently, the CFL, which will fine you for wearing pink gloves). 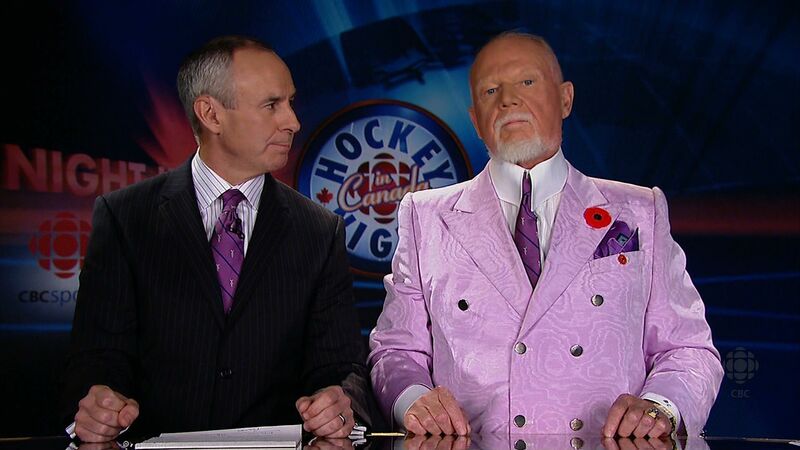 Don Cherry has, in years past, had a spot of trouble matching his pink tie to a suitably pink jacket, and this year, he seems to continue that trend. 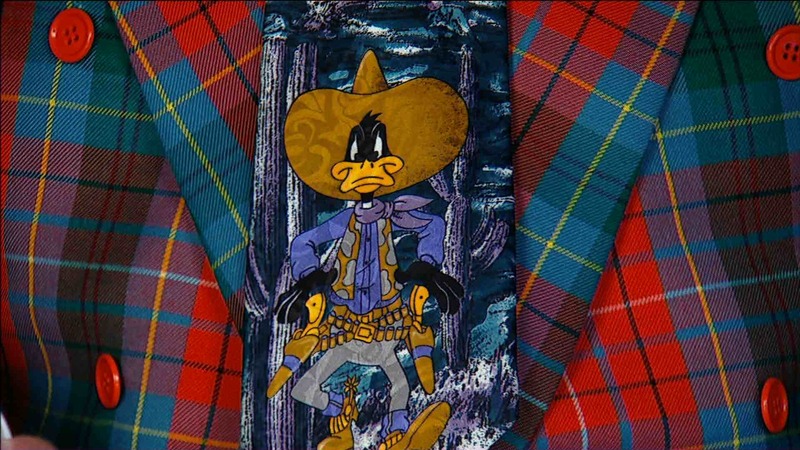 Once again, he gave Ron MacLean a bit of an earful for saying the tie was pink, and that consequently his tie didn’t match. Okay, it’s a repeat. Whatever. I don’t care. 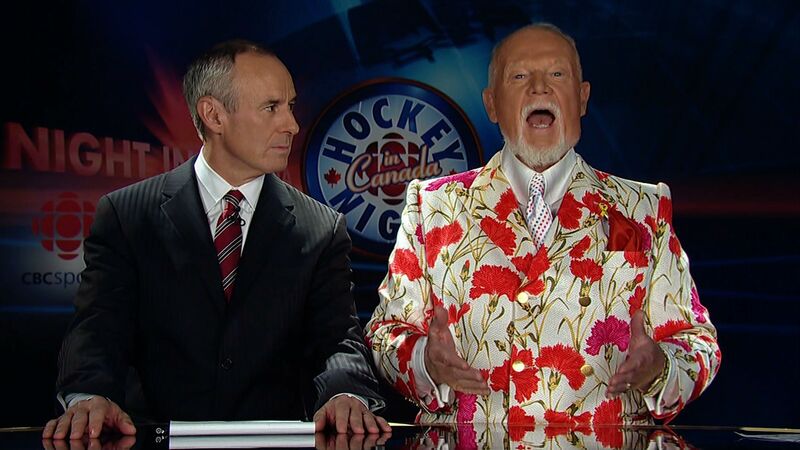 Don’s jacket on tonight’s Coach’s Corner is too good not to post again, and anyway it’s been more than two years. During the segment he said, “With this jacket on, I gotta watch the way I talk.” Um. Yes, Don. But that’s not all you ought to watch. So here we are in the 2010-11 NHL season! Should be an exciting one. 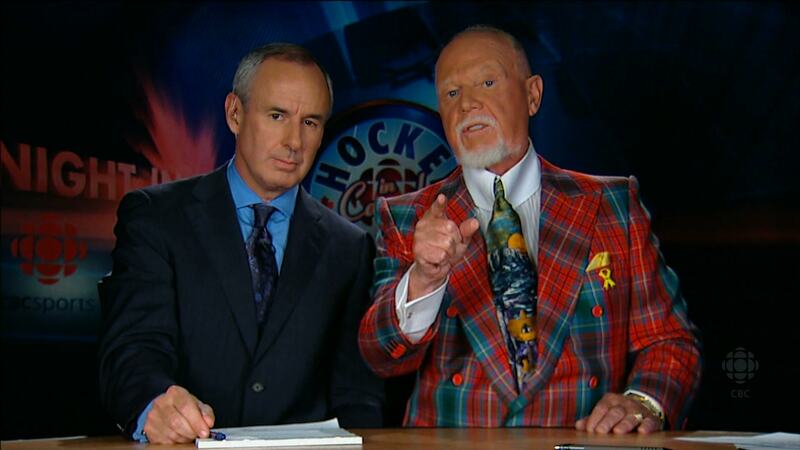 Even if the Nordiques aren’t back in Québec, the Jets aren’t back in Winnipeg, and the swallows aren’t yet back in Capistrano, we’re back here at the Don Cherry Jacket Watch with some fresh gawking at our favourite commentator Don Cherry. Let’s get right to it. Yep, that’s how we start off the year in Grapesland: all real class-like. Gotta love it. Or something. We’ll be back throughout the season with more DCJW. Stay tuned.